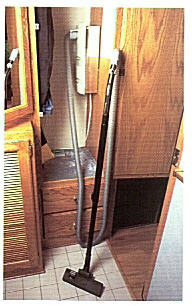 Just attach the hose to the outlet, turn SeaVac on and glide the vacuum wand around the room, 30 feet in all directions. 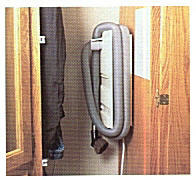 And thanks to the adjustable wand heights, you won't have the lower back strain you've likely been getting. When you're finished cleaning, just stow the hose and wand, and you're done. Each SeaVac lets you choose from one of our two accessory tool kits which include a wide range of high-quality attachments to satisfy all of your vacuuming needs. Our VacPac Accessory Kits even come with a mesh nylon bag to keep all of your attachments together in one handy package. If you're still pushing around that oId heavy vacuum cleaner on board, throw it overboard and get yourself a SeaVac. The boaters we know that have it, love it. Maybe it's because the folks that designed and built the SeaVac are boaters themselves. You'll love how the Sea Vac blends in with the interior decor of your boat whether you choose to install one in a closet or in a more accessible area on deck as shown above. 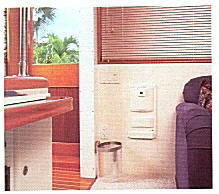 The SeaVac face plate is available in two standard colors, Biscuit or White, and optional designer colors. 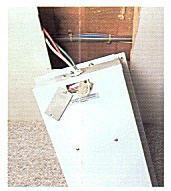 Ask your salesperson for details when you order your unit. See for yourself And start spending more time doing what you should be doing on your boat ... cruising, sailing or fishing! Call to order your SeaVac today.